We actually live on a planet which is only a tiny part of our solar system. Naturally, we have always been curious about the place we live in as well as the sky above. When most people love to see the beauty of the sky at night, many scientists who are willing to dedicate their lives in order to reveal the secret of the space. In order to have a better knowledge of such a vast outer space, many countries have decided to make space exploration. They have been using numerous astronomy findings and space technologies to explore the outer space. Human spaceflight is no longer the only option to make this vast exploration as we now also involve some robotic space craft. In the near future, we might see some animals, monkeys in particular, take part in this exploration. It is no longer a secret that this kind of exploration takes a huge amount of money. For those who have a great concern over their paid taxes, space exploration conducted by their country comes with many questions. They tend to wonder if such an exploration is necessary. Space exploration is no longer dominated by singular flights, we even now involve reusable hardware in order to be able to explore the outer space in a greater amount. This exploration has even attracted private interest that lead us to more competition and larger government missions. 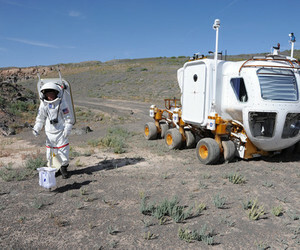 The latest rumors related to this type of exploration is meant to open the way for tourism purpose. Lately, the first space shuttle for private purpose has been tested in Russia. It is predicted that such a space travel will become a reality. If there was no benefit that come from exploring the sky, this type of expensive activity would have ended a long time ago. The universe is much larger than we can think of and it offers plenty of mysteries waiting to be discovered. By more explorations on the outer space, we will discover more unknown facts about this vast area above us.After years of exploration, we have revealed a number of mysteries related the space. However, it seems like we never seem to run out of mysteries to solve. Therefore, more sophisticated and more expensive explorations will be required in many years to come. One of the most obvious benefits would be the findings of new minerals and precious metals that we do not find anywhere on the planet. Some people actually believe that this kind of exploration will lead us to finding an alien race similar to us. Though, such a purpose still invites plenty of controversies.There might be more benefits that come from space exploration beyond our knowledge. Considering that the amount of money that is used for this expensive exploration is very massive, you should not be too surprised to see plenty of critics questioning the real purpose of exploring the outer space. They believe that such a great deal of fund will be more suitable to help the underdeveloped countries on the planet.